It was back in 2014 that the bumwinebob.com team made their first trip up to Boston and paid a visit to the Harpoon Brewery. 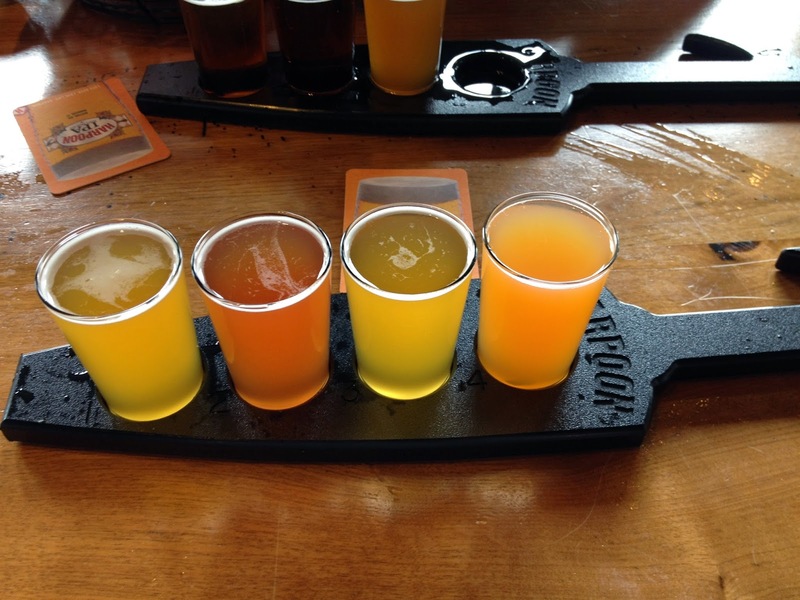 While some of my cohorts decided to try the Harpoon sampler that included IPA's and some sort of bacon beer, I decided to keep things simple and went with the Harpoon UFO sampler. I have always been a fan of white ales, and the Harpoon UFO White was no different. I think I tried the UFO White in the past, but drinking this was a refresher for me. 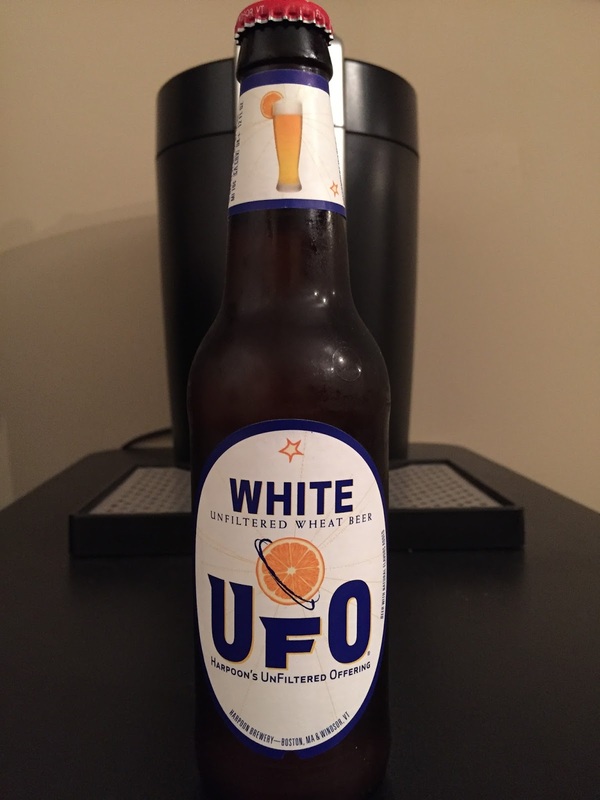 Harpoon introduced the UFO White in 2009 and it's now their fastest growing beer style. It has a smooth and sweet taste, similar to that of other wheat beers on the market. I personally just think it tastes cleaner to me compared to the others. Harpoon UFO White comes in at 4.8% ABV and is available year-round. 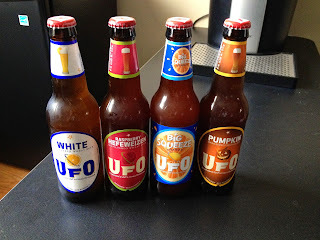 I had the opportunity to try the other UFO beers (UFO R.A.Z, UFO Hefeweizen, UFO Big Squeeze Shandy) in the sampler, and found them all to be quite enjoyable. These are perfectly refreshing summer beers. 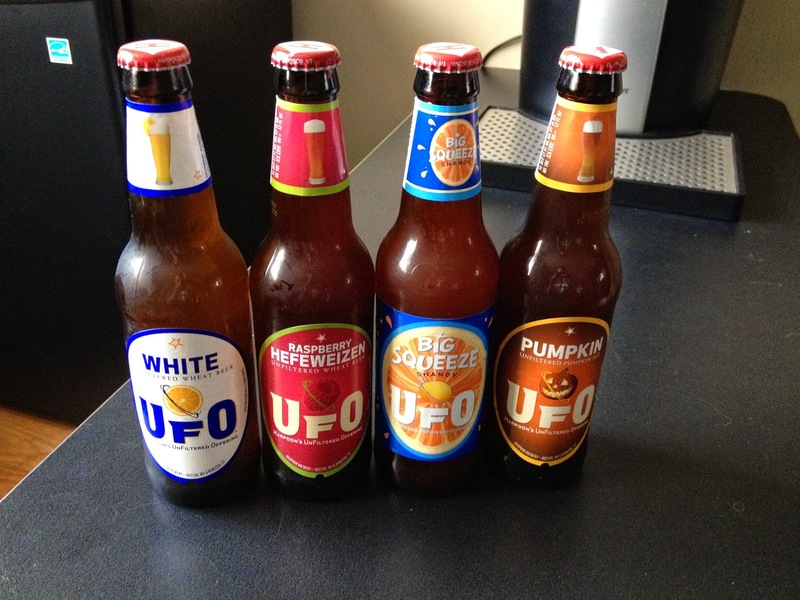 For those of you waiting for fall and pumpkin beer season to begin, Harpoon UFO Pumpkin should be hitting shelves soon. It was not available at the time of the trip, but is another enjoyable offering from Harpoon and perfect for the fall. Are you ready for pumpkin season? 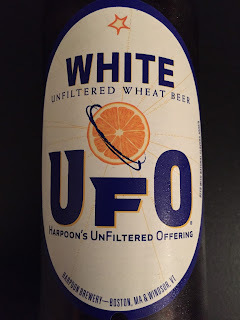 Harpoon UFO White is a fine beer choice and pairs well with life. If you are in the mood for something different during your next trip to the liquor store, pick up a case of Harpoon UFO White. It's the BWB Beer Of The Week! This wraps up the unplanned Bobcat Beers Of The Month at bumwinebob.com for August. In September we will be getting back on the train again and bring you some of your favorite classics. But before we get there I have to ask, what's your fantasy? It's that time of year once again and football season is right around the corner. It's a BWB fantasy football draft weekend with 3 drafts in two days! Also, don't forget that the time is now to sign up for the 2016 BWB NFL Pick 'Em league so you can join in all the action! Tune in LIVE this Sunday at 11PM ET as the bumcast (hopefully, looking at your BTR) returns to it's regularly scheduled time! Grab a drink and join the party! Cheers!